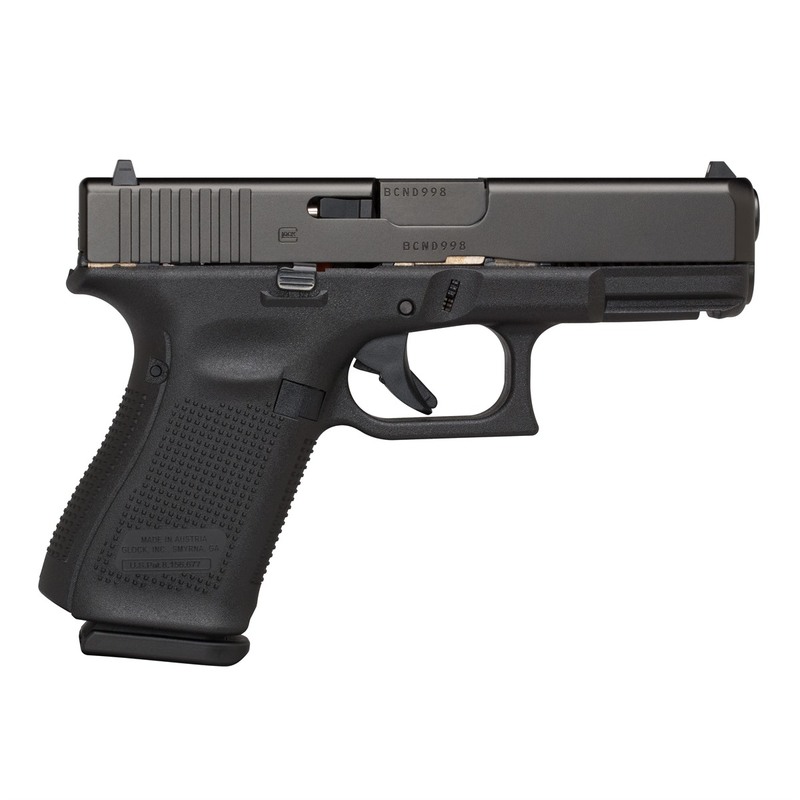 The GLOCK 19 is ideal for a more versatile role because of its reduced dimensions when compared to the standard sized option. Chambered in 9x19, the G19 has found worldwide acclaim with both private and public security agencies. In addition to being used as a conventional service pistol, it is ideal for concealed carry or as a backup weapon. The G19 G5 has a flared mag-well making it easier to fit a magazine into the mag-well, has an ambidextrous slide stop lever, Finger grooves removed from the Grip, and a Glock Marksman Barrel featuring new barrel rifling.